Māori scholar Dr Melinda Webber (Ngāti Whakaue, Ngāti Kahu, Ngāti Hau) from the University of Auckland’s Faculty of Education will share her unique knowledge of Aotearoa school communities with American counterparts at the University of Wisconsin–Green Bay later this month, with the help of a Fulbright-Ngā Pae o te Māramatanga Travel Award. Melinda is currently a fulltime qualitative researcher on the University of Auckland’s Starpath Project – a pioneering research project focused on transforming educational outcomes for New Zealand students who are under-achieving at secondary school and under-represented in tertiary education. 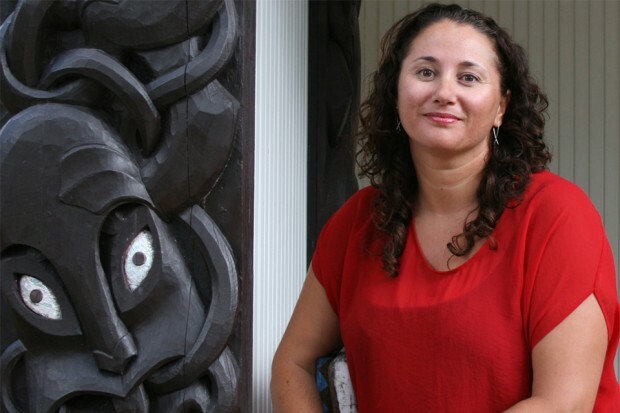 She is also co-principal investigator on a Ngā Pae o te Māramatanga-funded research project entitled Ka Awatea: An iwi case study of Māori student success. Melinda looks forward to sharing her knowledge of Māori education, cultural identity development and adolescent social psychology with a range of academic departments and programmes at her host institution. She will give presentations on the Starpath Project to staff of the University of Wisconsin–Green Bay’s similarly-focussed Phuture Phoenix programme, on racial-ethnic identity of adolescent New Zealanders to the university’s Department of Human Development, and on Māori identity in the 21st century to the First Nations Studies programme. This year Fulbright New Zealand celebrates its 65th anniversary of bilateral educational and cultural exchange between New Zealand and the United States of America. In that time it has granted more than 3,000 awards for New Zealanders and Americans to study, research, teach and present their work in each other’s country, with the aim of promoting mutual understanding between peoples of the two partner countries.